An online idea or a website cannot be called a business if it cannot generate money for you. Monetization (or monetization model) refers to any strategy that can be employed or applied to a website or an online idea that can generate money from it. For example if you build a website with the intention of making money, building the website and putting it there will not produce money. You need to implement or include something that will bring in money. A website can only act as a tool or vehicle to generate revenue. The monetization model is what actually brings in the money. The most common monetization models are those where you sell a product or service, or where you put links on your website from programs where you get paid if someone clicks on them. Once you have your monetization model in place, the next challenge is to get prospective clients and customers to visit your website. The rate and number or people visiting a website is referred to as web traffic. 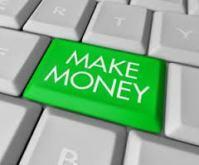 In online business, the more people you can get to your website, the higher the probability that you will make money. Different online businesses require different levels of traffic to be able to generate good profits, but it still all boils down to getting people to visit your website or click on your link. And the best way to get people to visit is by using various advertising and marketing strategies, free or paid.